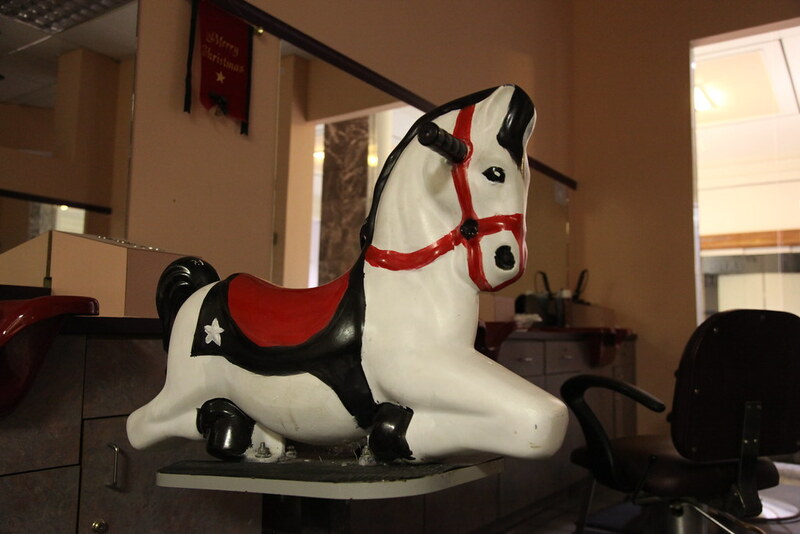 A playground-like riding horse at a hair cutting station in the unisex salon. Likely the source of many nightmares for small children that suffer from a fear of barbers. I wonder if they re-located this before the demolition, or if this artifact is one of many at this mall that will wind up in a landfill.